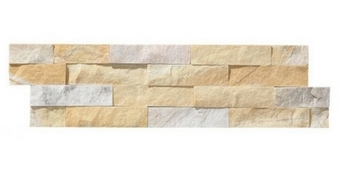 The Contemporary range is a thin stone veneer made from split face stone. The various depths and textures showcase the stones natural beauty. This three-dimensional look creates a stunning feature wall especially when illuminated. 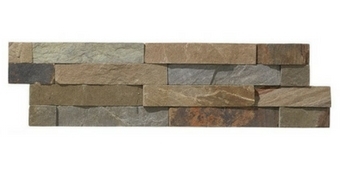 TIER's natural stone panel system is ideal for exterior feature walls, courtyards and entertainment areas. 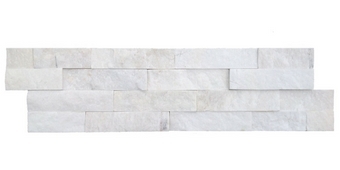 Equally well suited for interior use, these stone panels are also perfect for use on fireplaces and feature interior walls. Due to its modular form, TIER Contemporary is quick and easy to install. 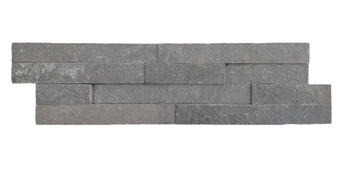 A dark black natural basalt panel with hints of rust add to the stones rustic appearance. The Ochre Blend is the perfect combination of earthy reds, browns and greys. A stunning mix of creams and whites giving a warm soft feeling to any application. A soft mix of Grey, Browns and Creams to compliment any setting.